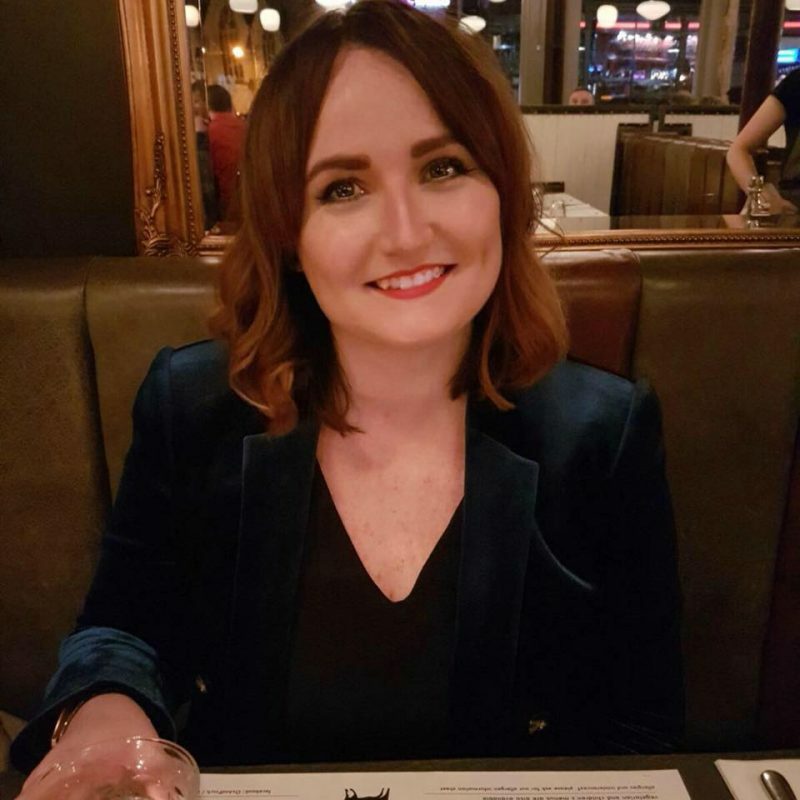 When I first read a few months back that we’d be graced with a completely unique boutique bowling alley in our fine city, I did what any sensible girl worth her salt would do… I bookmarked it, followed them on Twitter, liked them on Facebook and proceeded to stalk the life out of them for further announcements. Last week, Lane7 finally opened it’s super-cool doors and I was one of the lucky folk who got to attend a preview evening. This later resulted in another visit two days later and much raving about the place on every social network at my fingertips, where I was asked if it “really was THAT good?”. Yes. It really is. Chris Finnigan, Lane7’s Head Chef (who trained for four years under celebrity chef Raymond Blanc at restaurant Le Manoir aux Quat’Saison, dontcha know!) has carefully constructed the perfect menu to accompany an afternoon or evening of bowling. 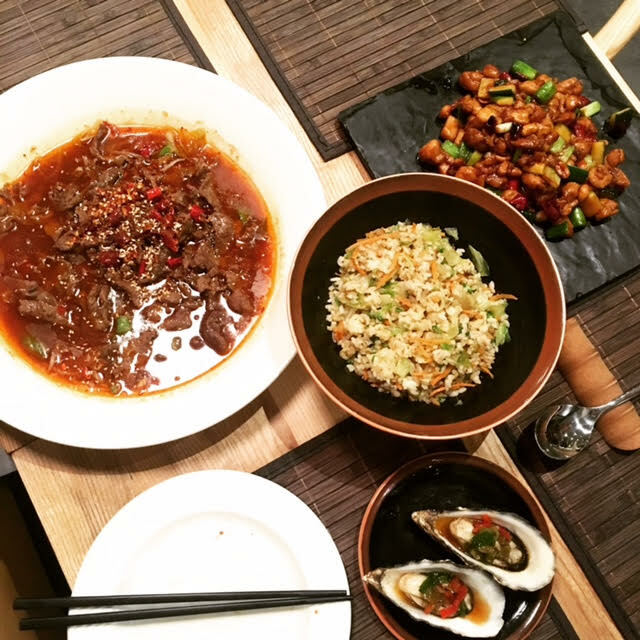 It’s comfort food at it’s very best. I’d seen a hell of a lot of hype for their burgers and hot dogs from the previous night, so naturally I had to get involved. So on my first visit, I opted for the Chilli Dog (£9.50) which was served with gorgeously tender short-rib chilli, jalepenos, sour cream and crispy onions. 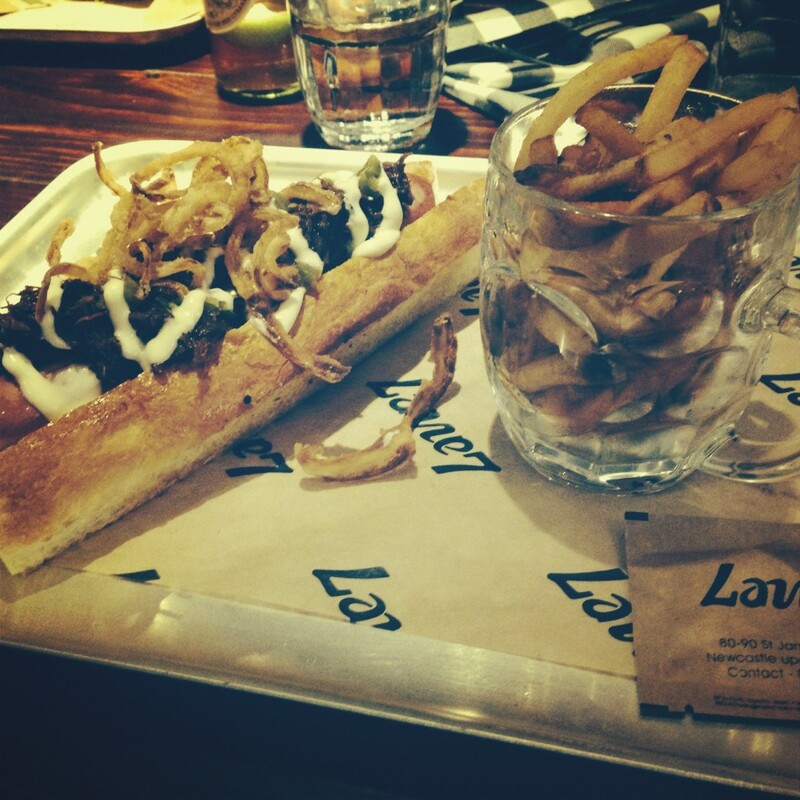 It’s pretty big, with a juicy Chicago Dog sausage served on a semi-brioche finger roll (all rolls are made in house!) alongside a half pint of (skin on!) french fries. This is not your typical bowling alley bait, that’s for sure and at less than a tenner for a good feed, you really can’t quibble. My fella went for the Crispy Chicken Burger which had a really tasty crunchy coating and plenty of lettuce, red onion and smoked black pepper mayo. He also got a side of pulled pork and butterbeans (£3) which was covered in a zingy herb crust, with lots of perfect pulled pork. I’m not a fan of butterbeans, but the pork was so good that I can get over that for the sake of an extra side! On my second visit I couldn’t resist the Double Cheeseburger (£9) which is a glistening tower of two beef patties, monterey jack cheese, crispy onions and dill pickles. As much as I loved my chilli dog two night’s previous, I have to say that the burger absolutely blew me away. Lightly toasted brioche, succulent beef patties (absolutely no cheap cuts here!) which were set off perfectly by the accompanying crispy onions and tangy dill pickles. I would have liked a little more cheese on mine, but it was generally perfect and also arrived with those lovely skin-on fries. Two of my friends opted for the Chilli Dog, while another went for the Pulled Pork Bun (£9.50) which after seeing how much he enjoyed it is undoubtedly on my list for my next visit. 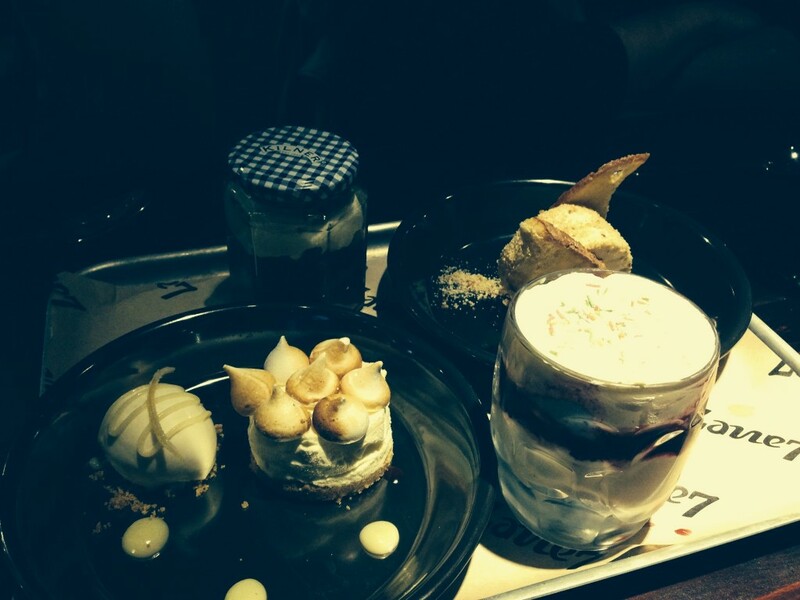 We also sampled their small but perfect selection of desserts as Chris was kind enough to send a platter over. Despite the fact we were fit to burst, we managed to finish the lot. Made and brought over by Jason Hutchison, an apprentice learning his craft under the experienced Lee Quigley (L7’s Head Pastry Chef), we were blown away by his skill at such an early stage in his career. He talked us through each dessert and was endearingly modest about what he’d just put in front of us. It’s fantastic that Lane7 is offering young hopefuls a chance to work in such an exciting environment and I won’t be surprised to hear Josh’s name featured in many other articles in the future. Definitely one to watch! The selection included a deconstructed Mississippi Mud Pie (served in layers in a Kilner jar), Lemon Meringue Cheesecake served with Lemon Curd ice cream, Peanut Butter and Jelly Sandwich (served in a far from conventional way!) and the Bubblegum Knickerbockerglory. While it’s difficult to choose a favourite, the Bubblegum Knickerbockerglory stood out for me with it’s blueberry and vanilla cream, hundreds and thousands and juicy fresh berries at the very bottom. The peanut butter and jelly sandwich was also a highlight, with peanut butter ice cream and a tangy raspberry jam purée. All desserts range from £4 to £5 each and I would recommend getting one of each if there’s a few of you to pass them around and enjoy every single delicious one. We recommend: The Double Cheeseburger, The Pulled Pork Bun, The Mac and Cheese, 10 Hour Braised Beef Rib or the Piri Piri Spatcock Chicken. For starter, try the House Smoked Pork Ribs (the meat literally falls off the bone) or the Crispy Breaded Whitebait. For dessert, try them ALL! Owner Tim Wilks was very particular when it came to creating his boutique bowling alley, so it’s no surprise he sought the best in the business to help his vision come to life. Enter Julie Chambers. You’ll have no doubt visited a venue that she’s designed already, it wouldn’t be hard to. 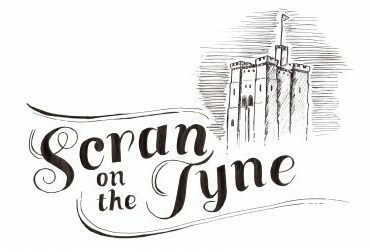 With the Newton Hall, Tokyo, As You Like It, The Town Wall, The Bridge Tavern, Nancy’s Bordello, Tup Tup Palace, Mr Lynch and many more already under her belt, she’s been giving us Newcastle-dwellers somewhere stylish to sup our drinks for several years. There is absolutely nothing in this place that’s ordinary. The dining area is a stylish and spacious area using school-style wooden tables and chairs/stools, exposed silver piping on the ceiling, antique reclaimed lighting (from a boat!) above the central table area and custom-designed (by Julie herself) arched Chesterfield tables with bright turquoise leather. I love my city, but this bowling alley is cooler than anywhere else in it and wouldn’t look out of place in New York or the hip East end of London. Wilks has invested, Julie has more than delivered and it’s paid off. Behind the bar there’s crates of old fashioned 1950’s bowling pins, on the walls there’s bespoke artwork and catchy slogans (my particular favourite is the already famous “SHUT UP AND BOWL” on the wall you see immediately on entry!). The lanes have been fitted with vintage Brunswick ball returns, which were shipped in from the U.S just for Lane7. Upstairs there’s more lanes, ping pong tables and snooker tables, a well stocked bar and the as yet unopened private karaoke booth, which is a must-hit for me as soon as it’s open. The place is lit dimly and looks incredibly slick, so get any tacky chain bowling alley images right out of your mind. This is classic, stylish, bespoke, timeless and far from the norm. A grown up bowling alley, if you will. 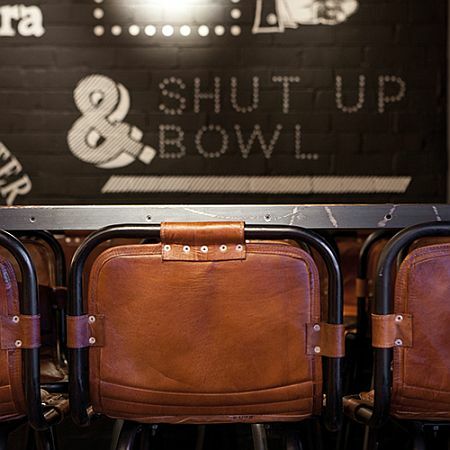 Their design and brand concept was created by the clever folk over at Wonder Stuff Studio, who’ve done a stellar job on the interior signage (yep, the ‘Shut Up & Bowl’ sign to name but one), website, creative communication, printed material inside the alley and a whole lot more. They’ve created an instantly recognisable brand identity that’s consistent throughout the venue and it’s clear that every individual or company involved in bringing Lane7 to life actually spoke to each other (it’s a rare thing!) to ensure it all fits together flawlessly. I feel I should also give a mention to the staff and the management, who were extremely competent and stress-free despite how busy the place was and the fact it was their first few days in the job. All were really friendly and knowledgeable with regards to the food and drinks on offer and if I hadn’t already booked my Christmas party elsewhere, I would have been going here. They accommodate large groups just as well as they deal with a table for two and the service is light-hearted and unassuming. I also like their checked shirts. Both times I’ve visited so far I’ve been driving, but happily there’s plenty of hydration options whether you’re drinking or designated driver. Think soft and hard (alcohol infused, duh!) milkshakes, a huuuuuge selection of draughts and bottled beers (we recommend the Buchata Rum Beer! ), ciders, alcopops, premium spirits (no messing about – they’ve got their 7 favourites on there and that’s it) and a good selection of red, white, rosé and sparkling wines. 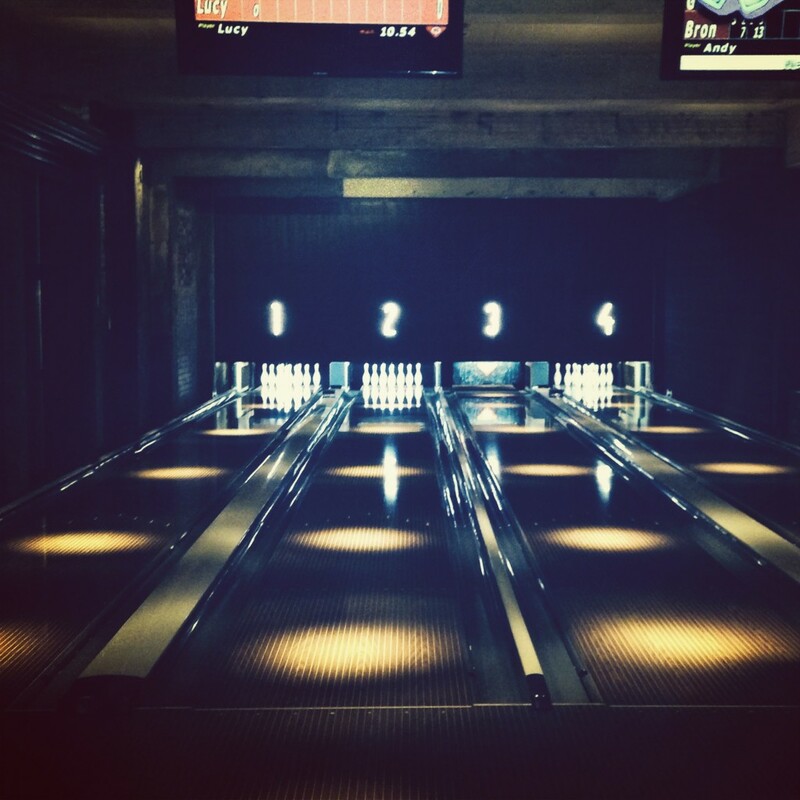 All lanes have the added benefit of table service, so you can get on with your game instead of waiting at the bar. There’s also a selection of cocktails listed on the blackboards and to be honest, prices are pretty reasonable and akin to what’s the average around town. Next visit I will be absolutely leaving the car at home and trying some for myself, so will update this post accordingly when I do. You can view the full drinks list and prices right here. 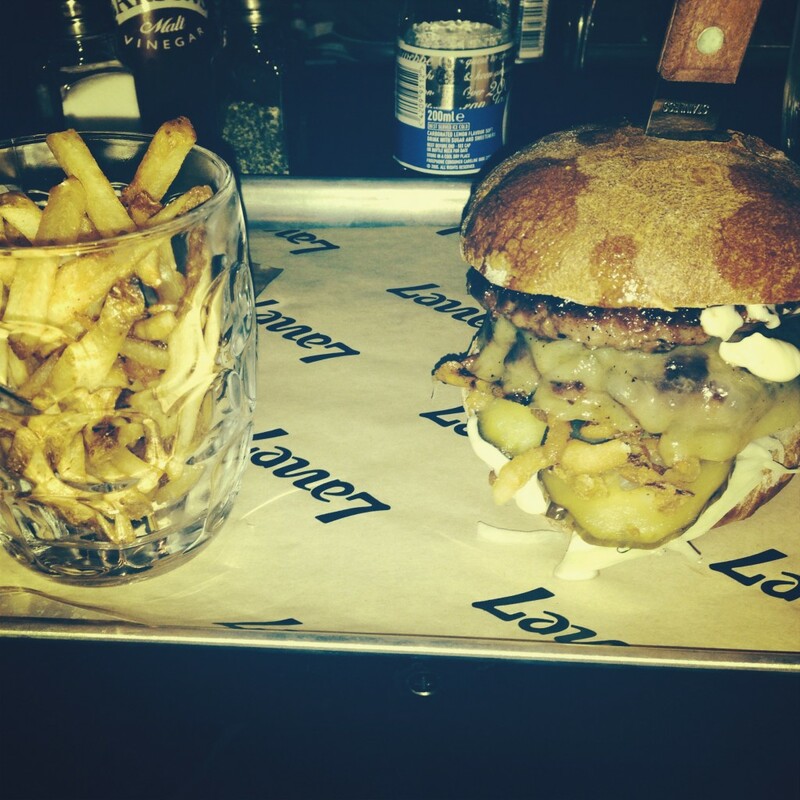 In case you hadn’t gathered from our gushing review so far, I bloody love Lane7. There’s literally nowhere like it. The pricing is fair, the food is outstanding, there’s plenty to do and it’s an ideal place for grown-ups to hang out without going from bar to bar in town or going to the cinema. Newcastle has been crying out for somewhere like this and I’m so pleased it’s arrived and surpassed the high expectations I already had for it. I thought it would be hard to do so many things well all at once, but the Lane7 team do it with finesse and I didn’t see one unhappy face on either visit (and on the second one I was there for 6 hours, so that’s some going!). My one gripe is that I’m terrible at bowling so the special barriers would come in handy on the lanes, but the lack of said banners made me up my game a little, so I guess that’s not a bad thing. Other than that, it’s the perfect place to while away the hours, enjoy some dinner and drinks with friends and get competitive on the lanes. We really are bowled over. For full details of prices etc, check out the Lane7 website and get yourself booked in. Lane7, St James’ Boulevard, Newcastle upon Tyne, NE1 4BN. Call 0191 261 61 61 to book and get social with them on Twitter while you’re at it! Previous Post Gareth Kyle’s AWESOME Geordie Supperclub. 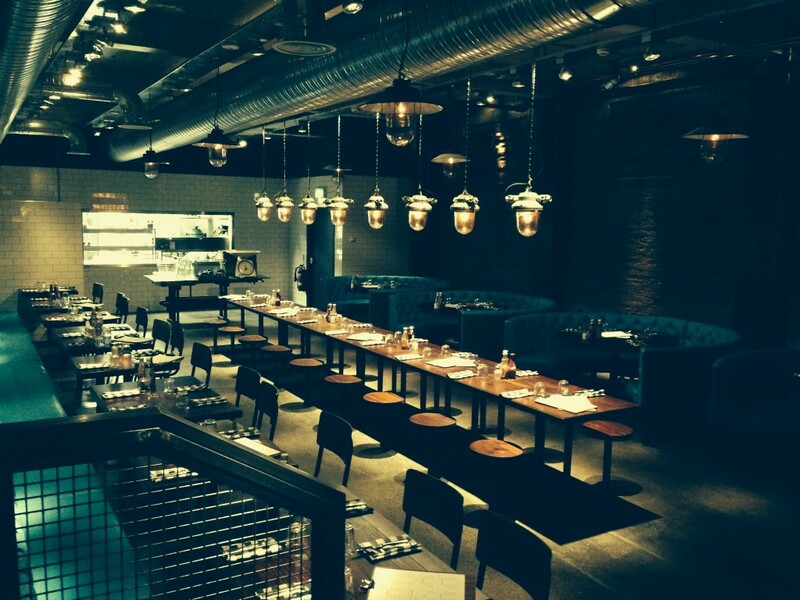 Next Post The Remarkable Newcomer… Sunday Roasts at Jam Jar, Jesmond.